Very elegant this pair comes from northern Sweden and was recently restored. 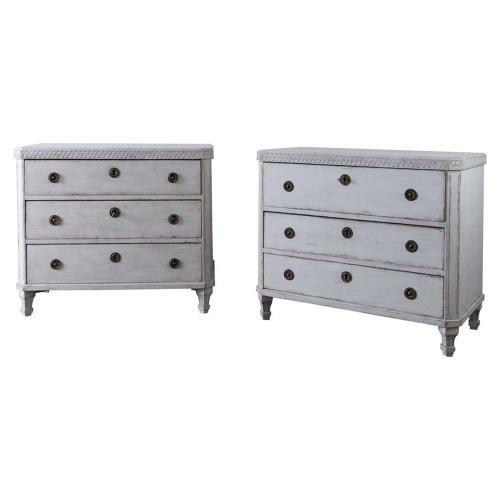 Would make a perfect set of bedside cabinets, but of course also stunning flanking a fireplace. Good. Recently restored. Hardware not original to the Piece. Paint retouched.